Mr James’ vision is to provide a safe environment for elderly people who can enjoy the luxury of his ‘Home’. He has a natural affinity with and empathy for older people and is extremely sensitive to their needs. 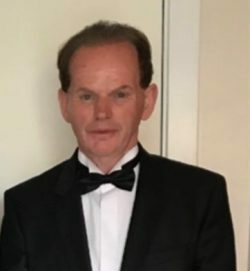 Mr. James is a successful, well-respected Carmarthenshire businessman, with over 40 years of experience setting up and expanding diverse businesses. Mr James worked closely with the Consultant Architect to ensure that Gwernllwyn Care Home is not only compliant with the regulations, but has state-of-the art facilities to provide the highest standard of residential accommodation. Trudy is our Operations Director and is committed to ensuring effective oversight of Gwernllwyn Care Home by focussing on quality and compliance. 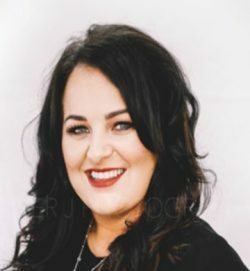 As the Responsible Individual, Trudy retains overall accountability and responsibility for the duties set out in the Regulation and Inspection of Social Care (Wales) Act 2016 and supervises the management of the service. Trudy has lived in the Gwendraeth Valley for the majority of her life and is a fluent Welsh speaker. She graduated from Law School in 2006 and went on to complete the LPC before later qualifying as a Social Worker whilst living in Cardiff. 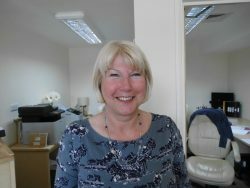 Trudy has wide range of experience working with individuals who are experiencing life changing situations. Trudy is passionate about improving the lives of people and empowering individuals to live the life they love. 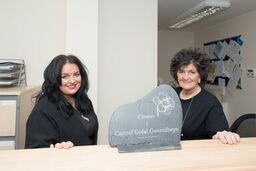 Trudy’s priority is to ensure that Gwernllwyn Care Home is well established, highly reputable, recognised for its excellence and a place where service users, families, staff and the community will be proud to consider, represent and support. I’m the Registered Manager at Gwernllwyn Care Home and have worked as a registered nurse for over 30 years. My passion is in the care of older people and those living with dementia. I love everything about my job, from working with amazing residents, fantastic staff and Directors. I am so proud to work in a place that puts the residents first in every way. 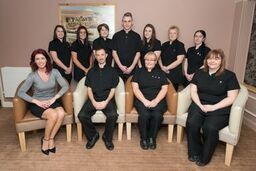 This comprises of a team that includes Senior Care Staff and Care Staff who are responsible for our residents on a daily basis, ensuring that every need is met and that any change in needs is noticed, reported and acted upon. 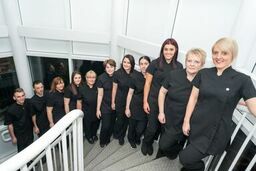 Personal care is delivered by staff who receive training in all aspects of their work. 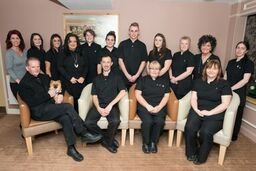 Our senior care staff have NVQ Level3/QCF Level 3. Some junior care staff already have NVQ Level 2 in Health and Social Care and those who do not will be encouraged to complete this training. 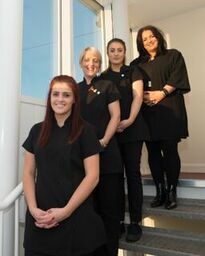 Care staff are named keyworkers to named residents.